Summer road trips are a family tradition this time of year. But along with the fun comes mile after mile and hour after hour in close quarters. Even experienced travelers can become quite frazzled. That’s why it’s important to pack lots of food and snacks to keep everyone happy. One of the best traveling foods is jerky. Yes, you heard that right. Full of flavor and nutrition, jerky is easy to pack and won’t spoil in those hot summer temperatures. This year, why not make your own delicious jerky as the Native Americans have done for thousands of years. Pemmican, a dried meat recipe that also sustained the Canadian fur traders in North America, is all natural and has ancient roots, but this recipe gives it a whole new twist by using bacon instead of beef or buffalo. The exact origin of jerky is unknown. Some say it was the Native Americans who made the first jerky using buffalo meat while others maintain the ancient Quechuans in South America were first when they began making jerky out of alpaca and llama meat over 8,000 years ago. The Quechua called this recipe “ch’arki” and it is believed the word jerky evolved from this original word. 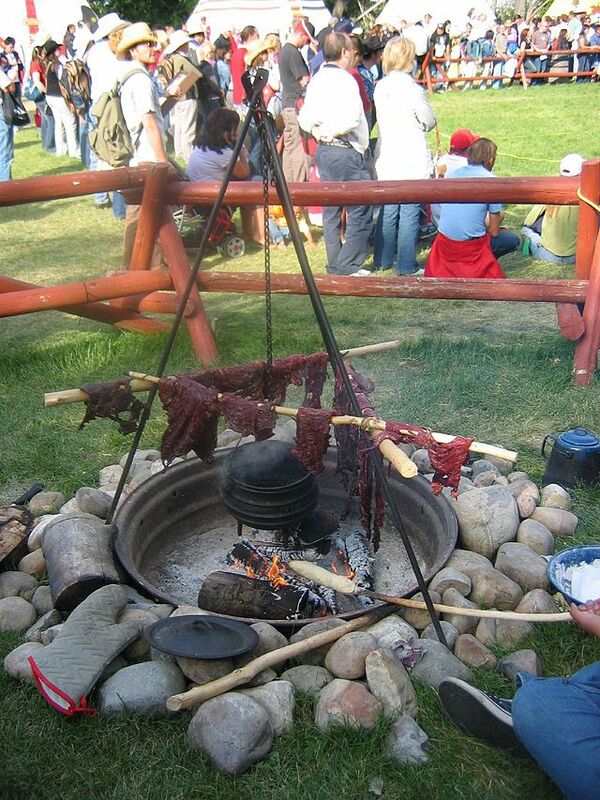 While ch’arki is a simple dried meat, the pemmican of the native North Americans combined other ingredients with the meat to create a unique food. Pemmican was most often made from buffalo meat which was cut into strips, dried in the sun and pounded into a powder before being flavored with choke cherries or june berries. This combination of meat and berries would then be mixed with melted fat and allowed to dry and become firm. The resulting food was packed into rawhide bags where it could be kept for years without spoiling. When Europeans arrived in the New World they found this wonderful food and adopted it quickly into their diets. In fact, there is some discussion over whether the Native Americans included the berries into the recipe specifically because the Europeans liked it more that way or if they ate it that way themselves as well. The fur traders in Canada were especially in need of a highly nutritional and easily stored meal. Pemmican became a staple for the traders as they made their way across the colder and more desolate regions of North America. Eventually, pemmican’s fame grew and it was used to feed several arctic expeditions and even to provision the Royal Navy. The Métis, aboriginal peoples from Canada, were known for their trade in pemmican. Descended from a mixed heritage of First Nations and European peoples, they were in a unique position to provide pemmican to those who needed it most. They supplied all of the North West Company Posts. The pemmican trade became so valuable that it almost started a war when, in 1814, Governor Miles MacDonell issued the Pemmican Proclamation in an effort to control the trade and the Métis. Thankfully, the proclamation did not remain active for long and the pemmican trade was allowed to flourish and spread. 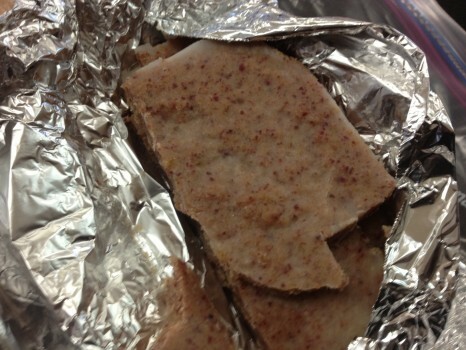 Today, many Native American tribes continue the tradition of making pemmican. So, instead of buying some jerky at your local grocer, gather the family and make your very own bacon pemmican this summer! *Recipe courtesy of SCD Lifestyle. Begin by cooking the bacon in a skillet. The key is cooking it long and slow. You really don’t want to crisp it up too much. It should be soft and flimsy still but the fat should be mostly cooked down. At this point turn the heat off and let it cool. After it cools down (but before the fat begins to solidify), add everything to the blender. Include as much of that tasty bacon fat as possible. Then begin blending it down. Chop it as finely as you can. At this point add 1 cup of cranberries and make sure they get chopped into very fine pieces as well. The last step is to add the coconut oil and blend till it’s good and mixed up. Next get the glass dish out and pour the mixture into it. Try to make it about even depth in the dish, then cover and freeze. It will take an hour or so to solidify. At this point you can cut it into bars or whatever size pieces your heart desires. Hayes, Derek. Historical Atlas of Canada. p. 178. This entry was posted in Blog, Bon Appetit Wednesday, Culinary, Culture and tagged ancient history, ancient jerky, ancient recipes, AntiquityNOW, Bon Appetit Wednesday, Canadian fur trade, Native American cuisine, pemmican. Bookmark the permalink.